The best electric guitars under £1000 is a most hotly debated subject. The figure of £1000 for a guitar is rather a significant one. When looking to spend this kind of money on a guitar, you are a committed player who wants professional quality. It’s a fact of today’s market climate that you can get a fantastic electric guitar for well under £400; one that will serve you well in the recording studio and stage as well as the garage and bedroom. Budget and affordable guitars have really never been better or cheaper! Most major manufacturers recognise this. They realise that you do not have to spend a grand to get a good guitar that will last a while and perform well. Therefore, to get people to pay more for this price bracket of instrument, the guitars themselves have to be pretty exceptional. They need to be obviously better than their cheaper cousins otherwise why would anyone even bother looking at them? There comes a point higher up in the top-end market when it is an inevitable case of diminishing returns: you pay a big chunk more to get a slightly better (or fancier, or more exclusive) guitar. Most buyers recognise this and understand that luxury and exclusivity come at a price, as does a greater degree of hand-building and so on. For more on this subject, please have a read of my custom guitars blog here. Custom guitars are the best of the best, but not everybody can afford, or indeed wants, an absolutely top and guitar. As we will see, the price bracket below £1000 is fast-rising to levels we would have no right to expect even a few years ago. In the under £1000 price point, quality is paramount. There is so much competition here since this is the area of the pro and semi-pro musician, as well as the experienced hobbyist. £1000 always bought a lot of guitar and these days it buys more than ever! The stigma of a Far-Eastern made guitar has long gone, too. It’s a relative non-issue these days, providing you do your research and choose accordingly. 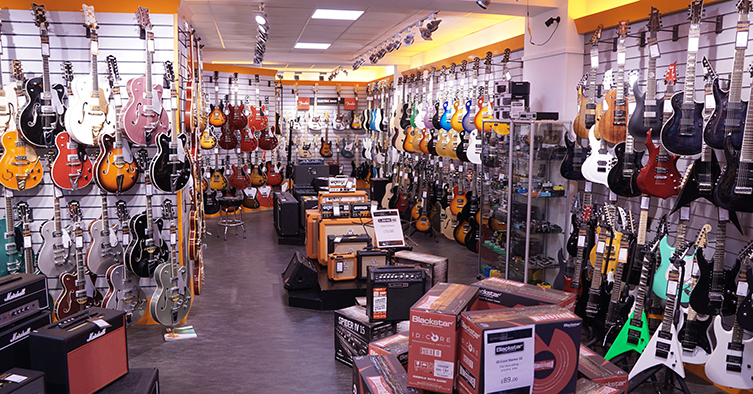 Having said that, at guitarguitar we stock literally hundreds of electric guitars in this price range of all shapes and sizes. There has never been such choice! This is great, but it can also confuse and bamboozle so let me take you through a quick tour of some of my favourites, taking in a diverse range of styles and applications. To be clear, this is not guitarguitar's opinion of the subject: these are my (Ray McClelland) own opinions and points of view. These are all instruments that I personally recommend to you: I believe that these are all excellent choices for their requisite jobs and wholeheartedly stand behind them as examples of high-standard guitar making. We all have our favourites, as do I, but I have decided to be more objective here and highlight models that are deserving of merit and investigation. Read on to learn more about some of the wonders that await you in this most exciting area of guitar making! This first one is a bit special! This is a collaboration between Fender’s R&D guys and Radiohead’s Ed O’Brien. It’s a pretty non-standard instrument disguised as a regular Olympic White Strat and it is rightfully getting a lot of people excited! So, this is a Fender Mexico guitar and has a host of brilliant and musical additions. Where to start, though? The neck is a chunky V shape which is TREMENDOUS, single-handedly rewriting lots of opinions on V-profiles to many players, this one included! The pickups are an obvious area of modification, too. This is essentially an H-S-H configuration, even though it doesn’t look so. In the bridge is a Seymour Duncan JB Jnr, a single-spaced humbucker. 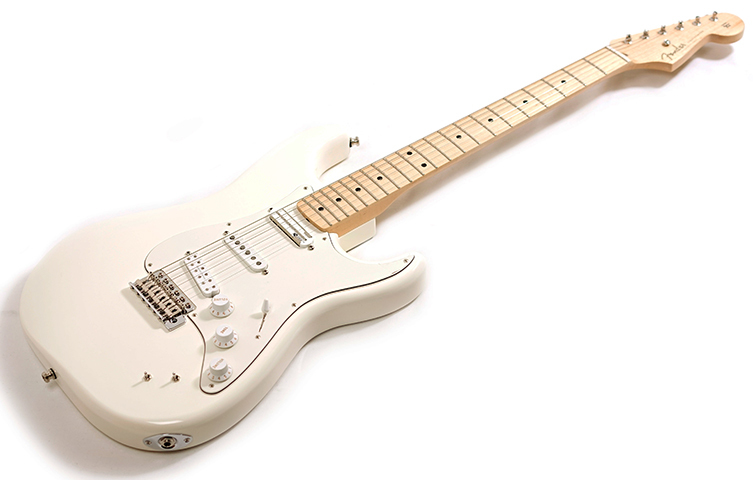 The middle has a Texas Special single coil (a hotter, pokier sound to better match the output of the humbuckers) and the neck is the guitar’s ‘special move’: a Fernandes Sustainer unit. This device is employed to sustain single notes and chords, practically forever, and we can definitely attest to its effectiveness! It really works. Throw away your E-Bow: you can strum, pick, play normally in fact, all with the knowledge that any sustain you choose to employ with be natural, harmonic and work across multiple strings (if you want) simultaneously. Plus, you don’t have to hold on to any mad gizmos in your plectrum hand, meaning no compromises to your playing! Micro-switch controls give you hands-on access to this voodoo right there on the guitar’s body. It’s amazing and will open up your creativity in all kinds of new ways. O’Brien is a subtle man so there is no actual signature to be found on this guitar. What there is, is a nice little sacred geometry etching on the neck plate to pinpoint this as an out-of-the-ordinary guitar. Massive bonus points also go to whoever decided to reposition the input jack to the side of the guitar instead of on the face. Fender: can this be the future, please? Basically, if you don’t yet have a Stratocaster, buy this one. Seriously. Your playing will just evolve. I, like lots of guitarists, have lots of love for the Les Paul. It’s one of the great guitars in any context. Now, I have purposefully avoided Gibson’s finest for this blog since I happen to believe that the best affordable Gibsons are just a little over the designated £1000 cut off for our list. I also think that those looking for an affordable Gibson will find them without any trouble, so I can adjust my focus to other deserving instruments, rather like this LTD EC-1000. Yes, it has a very clear influence! That is undeniable. However, the Eclipse (ESP’s model name for this shape) is, in a few practical ways, a very different beast. First off, it has a much thinner and therefore lighter body. This is a real concern for some guitarists (try googling the ‘interesting’ double straps that some people think are okay to have on guitars these days in order to re-distribute the excessive weight of ‘full-fat’ Les Pauls) so it’s a legitimate point that these EC-1000s are super easy on the shoulder. Does that make them ‘Rock’ any less hard though? The EC-1000 still has a carved top on Mahogany body, plus a set neck with the appropriate pitch and so on. It’s a great player and lots of Heavy Rock’s biggest stars (Hetfield and Nergal spring to mind) choose this over other single cuts. The design has enough of its own angles and lines to be considered its own beast these days and is pretty much the first choice for this current generation of riff-mongers. I’ve picked the EC-1000 Fluence due to the stratospheric impact made by Fishman’s pickups. Fishman Fluence are a genuine next-step for active pickups, giving proper tonal options that change the character of your sound in a real, practical way. You genuinely get Jekyll and Hyde with Fluences, especially with the Fluence Moderns that are in this model. They are brutal sounding one minute and sweet the next. This is one hell of a Rock guitar and it looks super cool whether you go for the Tiger Eye flame top model or the None-More-Black one shown here. Moving tack to a completely different vibe of guitar, it’s pretty hard not to love the suave coolness and larger-than-life persona of Gretsch hollow bodies. Most Gretsches (yes, including the White Falcon and so on) are made in the Far East these days. The expensive Professional Series come from Japan whereas the Electromatics, from which this guitar is a member, hail from China (some older examples are Korean). There is now another range, with the name Streamliner, which are made in Indonesia too. The point here is that the whole ‘All-American’ thing to which Gretsch are associated is not exactly the case, so playing a Chinese Gretsches should present no problems for guitar players, providing the quality is there. Thankfully it is! The benefit here is that Gretsches are hollow, so the relative quality of tone wood is a non-factor! Gretsch use licensed Bigsby tremolos and carefully designed Filter’Tron pickups with these Electromatics, so you ARE playing a proper Gretsch. Electromatics are played on stages all over the world and they definitely have that idiosyncratic Gretsch feel. This G5420T that I’ve picked out is one of the most popular styles and it looks like a million bucks! I’ve chosen the Orange finish since it’s a colour synonymous with the brand. All of the cool Gretsch appointments are here, just like the more expensive models: binding, metal hardware, thumbnail inlays, the large body with the proper shape and even branded control knobs! 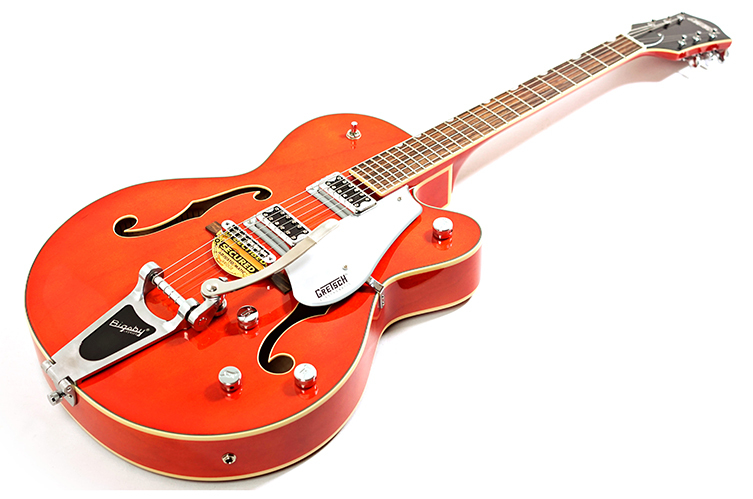 Sonically, that distinctive Gretsch twang is here, along with the extra Duane Eddy wobble of the Bigsby. This, like all Gretsches, is a guitar that you need to let ‘play you’ a little more than you play it, so to speak. It’s part of that inimitable charm so just go with it! Now this is a unique new shape! The St Vincent guitar is, like it’s creator, unorthodox and original. We applaud Music Man for not only making such a bold design in the first place (though it is not without precedent: checkout Gretsch’s Billy Bo and Bo Diddley guitars for some similar vibes), but for also making this much more affordable version from their Far Eastern ‘Sterling’ stable. The Sterling model retains the shape, layout, colour and fantastic neck carve of the US St Vincent. It loses the custom made DiMarzio pickups but does use great sounding mini humbuckers in their place. This is such a cool guitar! One thing I love about it is the lack of preconception: there is no kind of ‘loaded’ sound to be expected in the way that guitars like Strats and ES-335’s most certainly do. The Sterling St Vincent simply brings you a great look, a fantastic feel and a collection of quality tones to play with. What you do with that is most certainly up to you! A tremolo brings a little extra sonic flash, whilst some subtle symbols on the headstock and fingerboard are the only allusion this guitar has to it being a signature model. For players who are sick of the usual shapes, this excellently priced axe brings freedom and inspiration with it. Here’s another signature model but, again, that is a detail that you can quite easily sidestep, enjoying the instrument for what it is. The Hagstrom Pat Smear guitar is full of attitude and swagger, regardless of the attached name. It’s nice to see signature models that are unique and interesting creations, but which are not overtly ‘owned’ by the artist. Anybody who is into Indie, Rock, Punk or Metal could blast on this Hagstrom and have zero interest in Mr Smear himself, or indeed Foo Fighters or Nirvana. So, this guitar! It’s a take on their cool H-II shape, which itself is something akin to a slightly more goth and slightly more fabulous SG. Ol’ Pat has gone for binding, Ebony, Block inlays...the whole ‘custom’ style which always looks awesome and really suits this offset design. There is also an inexplicable blue ring surrounding the pickup selector too, which we don’t quite understand but really like! Those unfamiliar to Hagstrom may not know about their innovations like the H-Expander truss rod and Resinator fingerboards but both are here! The H-Expander truss rod has a cross section that looks like the capital letter ‘H’ and is made from composite elements in order to be super strong, stable and adjustable. The Resinator fingerboard is not a million miles away from Richlite, which Gibson fans will know about. It’s smooth and dark, an appropriate choice and excellent at this price point. Custom Alnico 58 humbuckers bring the by-now familiar PAF-style tone, which is par for the course with a Mahogany body, set-neck guitar. That’s fine by us since it’s one of the greatest combinations out there for tone, sustain and satisfaction! The Hagstrom Pat Smear is a very sound choice for fans of those other Mahogany set neck guitars, especially considering how far under the £1000 cut-off this awesome beast comes in at! It’s cool, it’s got swagger and it has its own style whilst delivering the kind of familiar thick tones you probably already knew you wanted. Pat who? 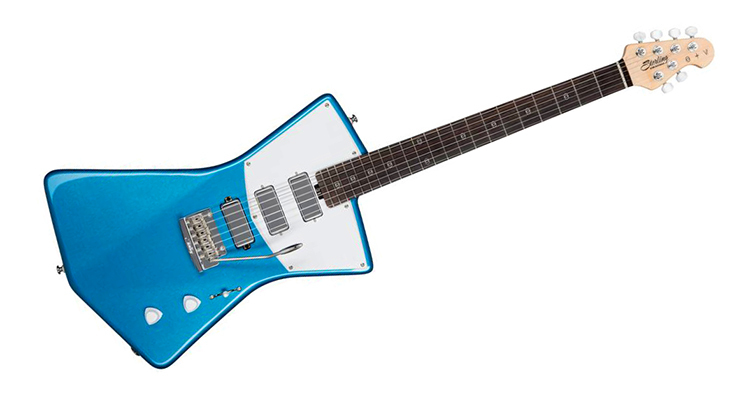 It’s a clear fact in the guitar-making world that there is a depressing shortage of Single Cut guitars with whammy bars. Why are there not more? It’s odd how many companies chase existing ideas and don’t think outside of the box. Paul Reed Smith is a man who has always managed to bring something unique to the table in a way that is still recognisable and indeed palatable to conservative guitarists. His Singlecut models are some of his most successful models and these often have whammy bars, so it’s a big giant thumbs up from us here at gg. PRS SE guitars are imported versions of the Maryland guitars. It is fair to say that these are a fairly separate brand from the USA PRS guitars, but they are still presided over and QC’d by Paul and his team. The quality is consistently high, making PRS SE guitars quite often the guitars to beat at this price point. The Singlecut design itself isn’t exactly original (PRS were in fact quite famously sued over this very design in the murky mists of the past) but it, like the LTD Eclipse we looked at earlier, has enough of its own chemical ingrained in it to make it instantly obvious as a different guitar. 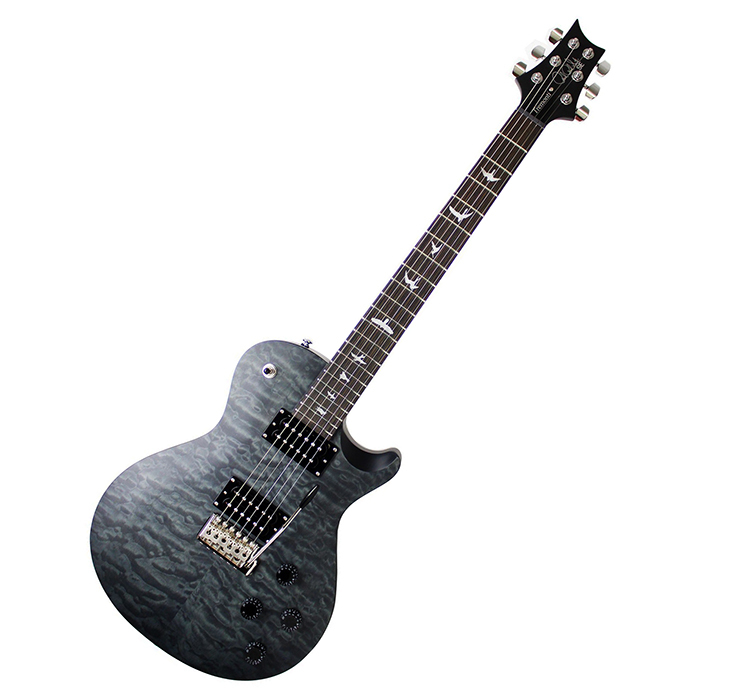 This cool limited edition Tremonti model adds a darkly delightful Satin Grey Quilted Maple top to the mix. This guitar is certainly aimed at the harder-rocking end of the market but it’s a versatile beast nonetheless, with effective volume and tone controls matched with PRS’s famously decent tremolo design all adding to the veneer of quality present here. A genuine Ebony board and Bird inlays further subscribe to the PRS school of rarefied quality. We’d recommend this to a more contemporary type of guitarist who likes Hard Rock and Metal but wants a guitar that can see a little further than just those genres. The satin look is pretty special to see in the flesh: check it out now! Hard Rockers with perhaps a slightly more shred-based proclivity may want to feast their eyes on the Charvel Pro Mod DK24K. To be honest, I could have included any of Charvel’s Pro Mod guitars in this rundown, such is their quality and sheer vibe! The San Dimas models are essentially hot-rodded Fenders (in other words, awesome) but this new DK24K bears a slightly different reference point: we’d say they are a little more ‘boutique’ in style (without naming any names) and bear more than a passing resemblance to Charvel’s own Guthrie Govan signature model. The DK24 is available in both H-S-S and H-S-H pickup configurations, both featuring top grade Seymour Duncan pickups. Interestingly, Charvel have opted for a non-locking tremolo, which is kind of going against their shred-tastic modus operandi! Not everyone likes a Floyd though, so this could be seen as a further move to place this guitar into the hands of fusion, prog and classic rock players. This trem is a Gotoh 510 unit anyway, so it is of premium quality and still allows plenty of scope for dive-bombing as well as more sedate use. This elegant Charvel is of course more than able to shred with the best, though! The 12”-16” compound radius and Jumbo frets on a fantastic ‘caramelised’ Maple fingerboard bring you a perfect platform for technique-based playing, and the Duncans are the pre-eminent passive pickup choice for Sunset Strip shredders. This Charvel is more subtly-styled too, with a range of beautiful but not-too-bold colours to help bring some brand coherence to the model whilst helping it blend in better in less ‘hair metal’ situations. Guitarists with a lot of gigs to cover should seek and audience with this gorgeous animal soon. The Charvel DK24K can hold its own anywhere. 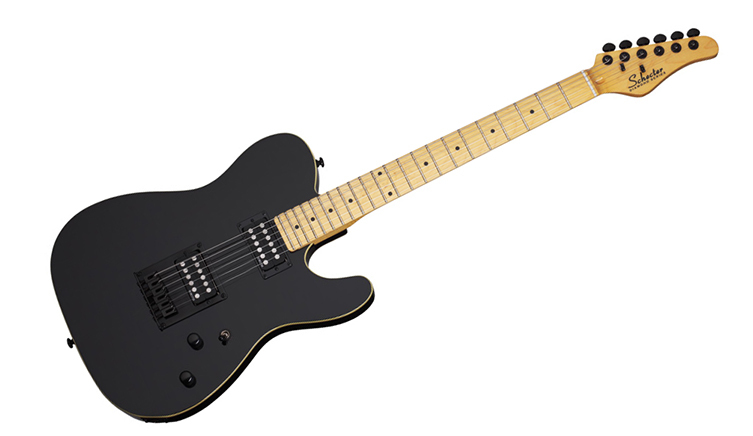 Keeping with the theme of traditional outlines and supercharged performance, I’d like to highlight this massively under-appreciated T-style from Schecter. Schecter started out as a Californian custom shop and the PT was an early model originally made for Pete Townshend (hence the name, though he is no longer associated with the company). 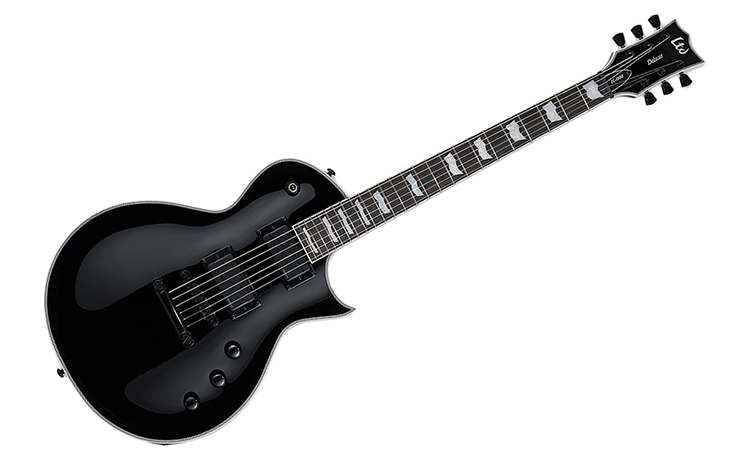 This model is from their Diamond Series, which is pretty much every Schecter guitar that isn’t American, and hits an excellent mid-point between traditional style and modern performance. Taking the outline and double-bound body from a 60s-style Tele, Schecter have ditched the pickguard and control panel, going for a sleek double humbucker look with functional switching and coil taps to bring some versatility to proceedings! Schecter’s own Diamond Super Rock pickups bring some aggressive chunk, which is no real surprise, but also some great coil tapped sounds, which are what really push the PT ahead of the competition. Tapped humbuckers don’t always inspire sonically but these have glass and sparkle, bringing out some surprisingly ‘authentic’ sounds. The modernity continues with a 14” radius board and extra jumbo frets to bring this modern hybrid up to contemporary spec. Looks-wise, the understated Black T-syle vibe is awesome, especially with the double binding! Sound-wise, this Schecter PT can go from 50s jangle through retro blues to cyber metal without breaking the slightest of sweats. Schecter’s build quality regularly exceeds that of US production guitars and the PT is no different. Tough enough for touring, good enough for recording and versatile enough to leave its mark on many styles, this guitar could be one of your wisest guitar purchases. Heading back to the source, I wanted to include something that proves that the big-name hitters can still release high quality, USA-made instruments for under a grand. The American Performer series from Fender (replacing the popular American Special models) promises a lot and, on the strength of this superb Jazzmaster, seems to make good on that promise! Vintage aficionados will instantly spy the replaced Strat-style tremolo bridge over the (admittedly cool looking) ‘problematic’ Jazzmaster style trem. With all of the best will in the world, even the most die-hard Jazzmaster fan has to concede that its original tremolo is a labour of love to maintain and use. That’s to say the least! For some, it’s part of what gives this increasingly mainstream guitar it’s somewhat iconoclastic appeal. For others, it’s a good reason to dodge the entire notion of owning a Jazzmaster altogether and go for something...simpler. 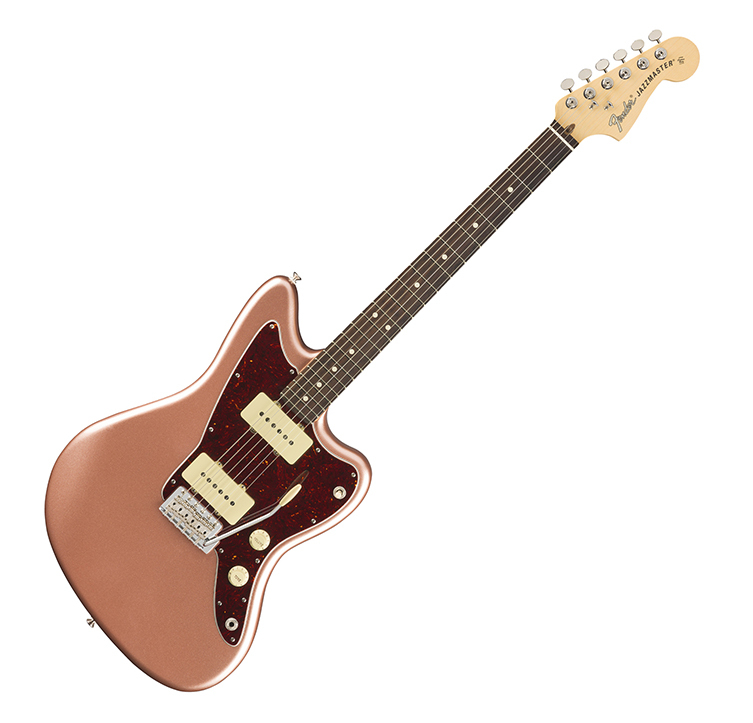 Fender realise this and, whilst most Jazzmaster models still defiantly retain the original design (and why not, really? It’s not like Bigsbies aren’t a hassle...), this American Performer adheres to the design brief about being player friendly and a versatile choice for working musicians by switching out that mad tremolo for something more obviously useful. In practice, the Strat’s synchronized tremolo works brilliantly on the Jazzmaster, opening up the instrument to a world of useable sounds. 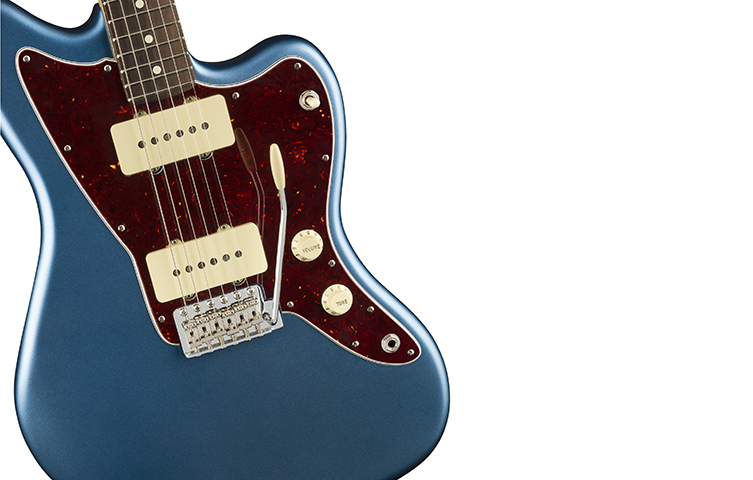 Lots of people will prefer this and it really doesn’t affect the look or identity of the Jazzmaster too much at all. There are changes elsewhere, too. Fender have ditched the dual-circuit design, going for a simpler single circuit with a three-way toggle and a ‘greasebucket’ tone control. This replaces the regular Tone knob and lets you dial back your treble without your tone turning into the sonic equivalent of mushy peas. 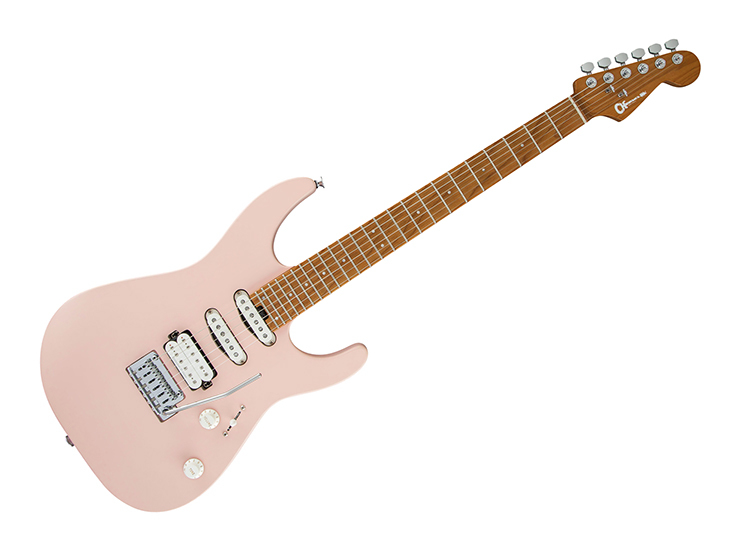 A modern-C neck carve and a Fender-standard 9.5” radius fingerboard radius plays it safe by offering a happy medium to almost all guitarists. Again, it’s part of the whole point of this range so we are more than happy: the neck has a little heft to it, which befits this style of guitar perfectly. If you’ve had lots of experience already with Strats and Teles, you may have a lot of fun with this: it’s Classic Fender with a twist, and it’s priced perfectly for the aspirations of most guitarists. And check out those finishes! Lastly, we come to this rather impressive Ibanez. 7 string guitars have long since stopped being a gimmick or ‘flavour of the month’ and have stepped up to become a fully accepted part of the modern electric guitar experience. Ibanez have been instrumental (sorry) in making this happen, beginning with the Universe back in the early 90s after hanging out with Steve Vai and then Korn. Other companies have certainly benefited from the great strides that Ibanez took, but for many, they are still the quintessential 7 string brand. These days, they remain at the top of the roost, making a dizzying amount of ‘extended range’ instruments to suit all budgets. The one we are looking at today, which could definitely do with an actual name instead of a dull stock code, is the stupendously gorgeous RGIX7FDLB in Northern Lights Burst. This is certainly a looker! The top has a layer of Lauren Burl to bring some interesting cloud-like figuring but it’s that incredible burst that gets you staring! This is repeated on the reverse headstock too and is contrasted rather wonderfully by white pickups. More and more ‘heavy’ guitarists are breaking away from the boredom of always playing black guitars and it seems they want to go in exactly the opposite direction, preferring head-turning finishes like this over common-or-garden three tone (yawn) sunbursts. The back of the guitar has a translucent grey stain over the Ash body and looks, frankly, mega. Ash is a good sign for tone, too! So, those pickups are DiMarzio Fusion Edge models. These are ceramic and are actually a collaboration with Ibanez especially for the Iron Label models (of which this RG is a member) so you cannot buy these as after-market mods. A coil tap circuit helps your occasional ‘pretty’ moments sound more tinkly but let’s get real: this thing is meant to cause mayhem. This it does exceptionally well, with a voice that has depth and dimension as well as the expected brutality. Glow-in-the-dark side dots and locking Gotoh tuners up the quality ante as well as making it clear that this Ibanez’s good looks are intended for the stage! This RG has a 25.5” scale length so you needn’t worry about adapting your technique to play this beast! If you have not yet tried a seven string, some models are more baritone in scale length (26” and more) so do keep that in mind. I recommend this RG model because it brings a professional level of quality and sound in a package that is bold and exciting, as well as being a very good price. Ibanez always bring a little madness along with the value and long may they continue to do so! So, there you have it. That is my list of ten guitars, all under a grand, and all superb instruments in their respective fields. There is a fairly wide range of models collected here so you’ll no doubt love some and hate the others but that’s totally fine! The main point is that these are all ready and waiting to give you years of exceptional service at home, in the rehearsal room, on record and on the road. There has never been a better time to buy an electric guitar, and with this kind of quality available at these prices, it’s a great time to step up into this phenomenal level of guitar making! Visit us to try any of these, chat to our staff and see what other favourites may be awaiting you! Thanks for reading and I’ll see you next time.